The Science, Math and Technology Department seeks part-time faculty available during the day to instruct Comparative Anatomy & Physiology II laboratory and Botany laboratory courses in the Fall 2018 semester. Evidence of successful college-level teaching and minimum of a Master’s degree in the appropriate discipline are required for consideration. 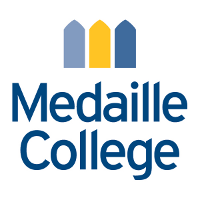 Questions regarding the positions can be directed to either, Dr. Kim Bailey, Biology Program Director (kjb352@medaille.edu), or Dr. Vochita Mihai, Department Chair, Science, Math and Technology (vmihai@medaille.edu).